It’s the year of the Green Smoothie! One of my main focuses for 2014 is my health. I shared some of my concerns with you in this post, and I am continuing to strive to live more healthy. My two main goals are to eat more healthy and exercise. Not a big surprise there, right? I think that is probably the two main goals of most people. I like to exercise, I just need to be more consistent. But I do not like to eat healthy. I like cokes, and hamburgers, and fries, and pizza, and chocolate chip cookies, and I could go on and on. So this is an area I really need to improve on. For my sake and for my family’s sake. I want to eat more “clean” food, and I plan to talk more about that on my blog in the future. I found out about it from The Green Smoothie Girl. 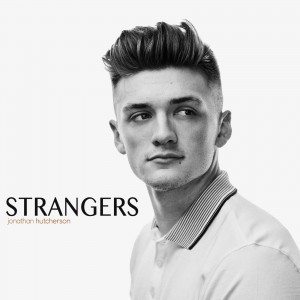 Fascinating website and worth reading!!! I would never be able to go into all the detail of the wonderful information on her site, but it is amazing! And I am convinced that I need to be eating “cleaner” food to help me feel and look better. One of the things she suggests to eat is a “green smoothie.” It’s basically a drink that includes lots of greens, like spinach, kale, and chard, and fruits. I am amazed at how good these drinks taste and how much my boys love them. I love giving them a “green smoothie” along with their breakfast in the morning knowing that I am filling them up with a ton of vitamins and minerals! I love this blender! It is a MA-chine! 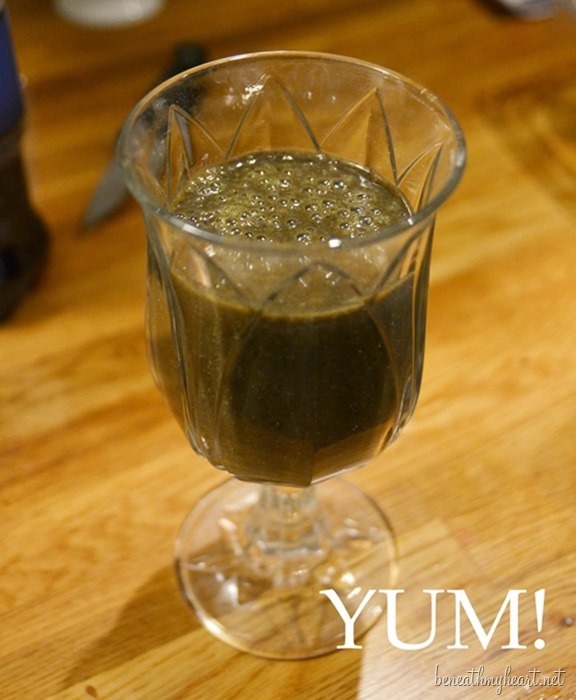 I wanted to show you a quick example of one of my green smoothies. This one included a banana, an apple, some frozen blueberries, spinach, and honey. I usually use more greens, but this is all I had at the time. I place water or coconut water in the bottom of the blender first, then the greens, then the fruit. I also add ice on top if I want. The honey usually makes it sweet enough for me, but if I don’t have honey, or want to make it sweeter, I use liquid stevia, a natural sweetener. I also add some flaxseed oil. Some call Flaxseed one of the most powerful plant foods on the planet. There’s some evidence that flaxseed may help reduce the risk of heart disease, cancer, stroke, and diabetes. It contains a lot of Omega 3 essential fatty acids, fiber, and lignans. Next, I put the lid on and blend away! Warning: this blender does get loud. I have to wait until the boys are up in the morning before blending or I would wake the whole house. And there are a TON of different green smoothie recipes that you can make, including ones with peanut butter, or pineapple, or watermelon, etc. You can find them on Green Smoothie Girl. The sky is the limit! Blendtec also has this attachment called the “twister jar” that is great for blending your thicker recipes. 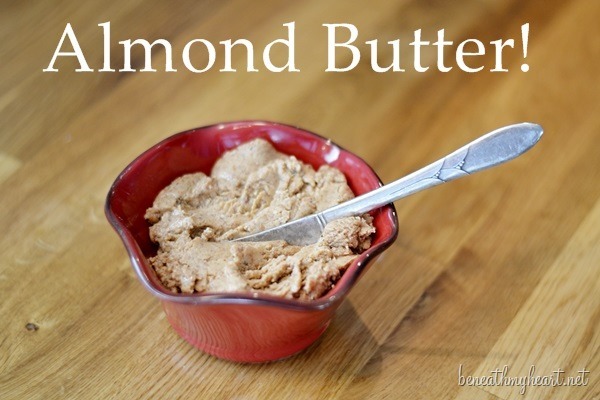 I LOVE making almond, peanut, or cashew butter with my twister jar. I add a little honey to mine to make it a little sweet. It comes out of the blender warm, and OH MY GOODNESS, Y’ALL, it is heaven!!! My boys LOVE when I make homemade peanut butter. 1. It is beyond awesome and can make a ton of things. 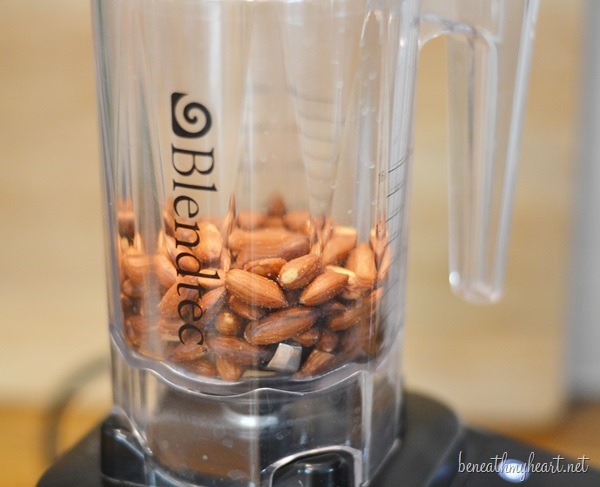 It is a little pricey, but man, if you use a blender a lot, this one will blow your mind with how well it blends. If would definitely be a great investment. So now 2014 is The Year of the Green Smoothie for me. I will be drinking a LOT of them this year. Maybe I can share some recipes with you every now and then? Cheers to a Healthier and Greener 2014! 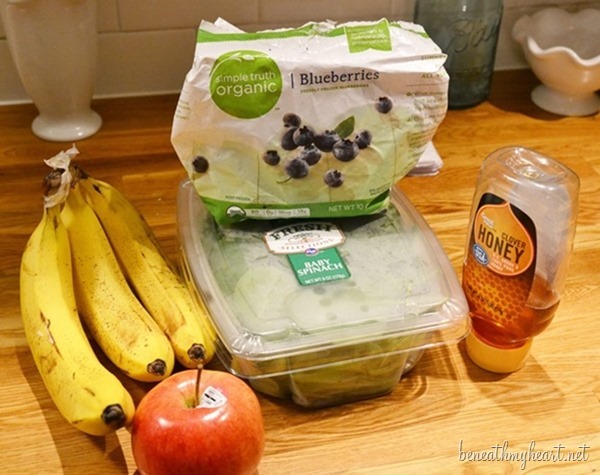 Have you ever made a green smoothie? 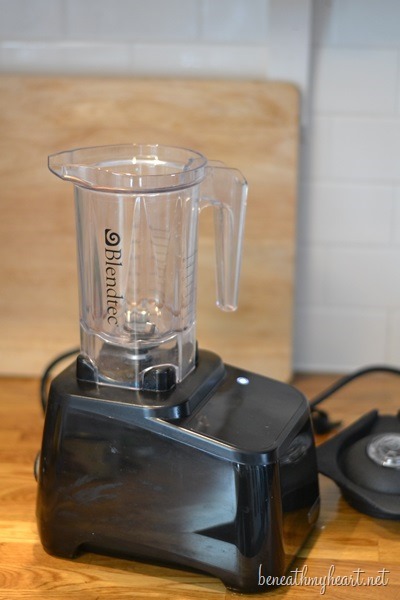 *Disclosure: I was provided a Blendtec Blender to review on my blog, but all of the opinions are 100% mine and all mine. Traci, I have something similar every morning but I find that I feel more like I have actually eaten if I use a spoon rather than a straw. I start out with a nut milk such as almond, hazelnut etc. 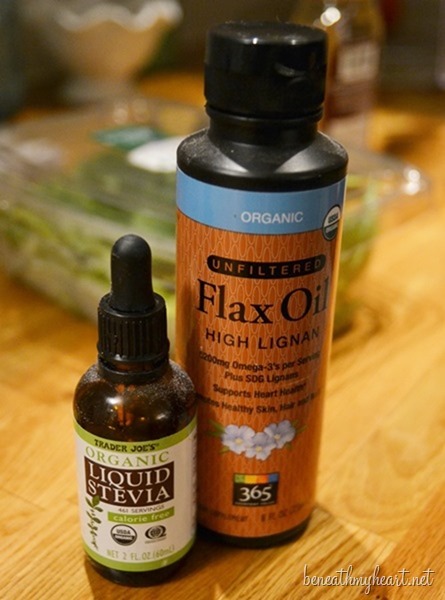 and add flax meal instead of the oil (that gives you the fiber and is a whole food instead of an extracted oil). Next is the best part: 2T Ghiradelli unsweetened baking cocoa, and the greens. This makes an ugly green liquid. Then, I add frozen banana, frozen mango chunks, and frozen blueberries. It now has the consistency and appearance of a soft serve chocolate ice cream which I sprinkle with slivered almonds. This is my breakfast almost every morning. My dessert most evenings does not include the greens but has 2oz pom juice, 1T chia seed, 2T cocoa, and 1 cup frozen cherries. Amazing chocolate cherry “nice” cream which is then topped with the slivered almonds. You and the boys would love it. I haven’t made any with cocoa yet! I am going to have to try that. And the frozen banana. Thanks for all the great ideas! i started making them last year using mostly baby spinach, frozen berries and apples. i used cranberry or apple juice instead of water. i was *shocked* at how good they actually taste! i stopped making them mostly because it was hard to keep all the ingredients on hand all the time but i really should get back to it!! I have a Breville juicer that we love, and I bought an e-book full of information and a bunch of recipes. Who knew cucumber and apples and oranges could taste so great together!? :) We also like making smoothies. Oh yes! 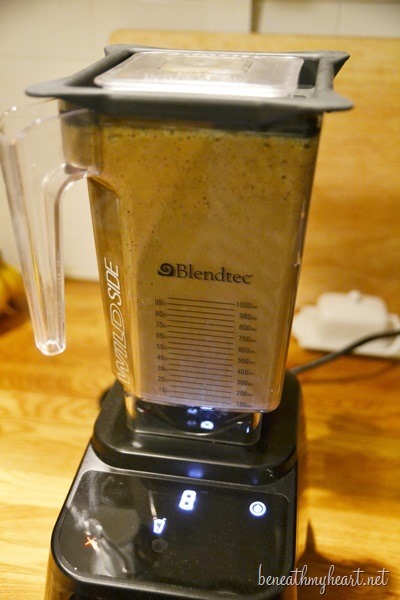 I’ve been blending just about everything in a blender. The smoothies are filling and healthy. There’s no down side! You may want to wrap a dishtowel around the motor of the blender when you flip the switch to muffle the noise. Great post! I like them but only with bananas, almond milk, spinach and peanut flour. I’ve tried other blends and couldn’t choke it down. Love the frozen banana idea! Thanks for sharing the recipe! We all love green smoothies here.. the kids call it “Star Wars” juice. Love my green smoothie for breakfast every morning! I use the Nutri-Bullet 900 Series and it does a fine job of liquifying everything. I usually include a banana, about a cup of organic spinach, a scope of greek yogurt, some almonds, chia seeds, some frozen berries, honey and water. The frozen berries make it cold and delicious. I’m full until about 1 and feel like I’ve gotten a lot of nutrition to start the day! 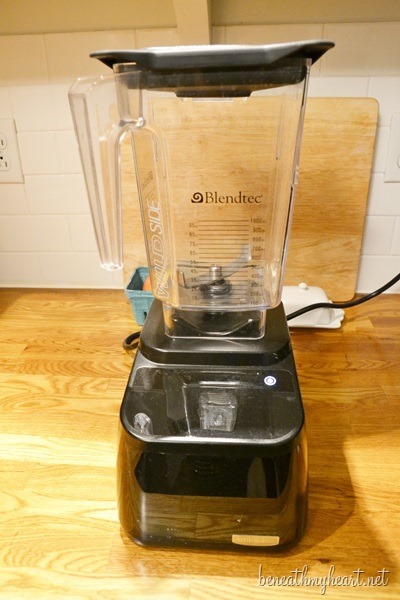 Love our blendtec…been using it for two years. Once something broke on it, it was covered under warranty but I still thought I would have to fight for it like other places, but the costumer service was awesome! We use it about every other day, and I can’t imagine making smoothies or sauces without it. Now I’m excited to try the twister jar for nut butters! I love a good green smoothie too! My recipes vary because I want to get a variety of nutrients. I vary my greens: kale, spinach, mustard, romaine, radish tops, even dandelion greens from my yard! I have learned to love the fresh flavor parsely adds too. Spinach is by far the mildest tasting and easy on a blender. I change fruit types and will not use tropical fruits everyday because of higher content in sugar. I do love using frozen fruit because I like the texture it produces. I start with my greens, add quality protein powder, unsweetened diluted cranberry juice, or almond milk or water. I personally avoid dairy. I will also add powdered Vitamin C, sometimes a liquid vitamin, flax oil and or fish oil, then my frozen fruit. I also have found powdered Baobab fruit which is very high in antioxidants, at my health food store, so I add this as well. Sometimes I add liquid flavored stevia. 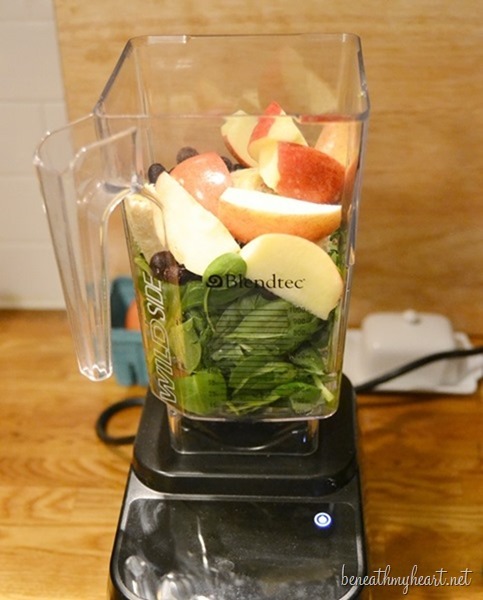 A good quality blender is a must if you us frozen fruits and greens other than spinach. I have used a Vitamix for about 18 years and it has never given me problems. The company has great service and replaced my blending jar for free when it developed a crack in it several years ago. One other note: 2 summers ago I got in the habit of making a smoothie every morning. I was using tropical fruit blends several times a week and my ratio of green to fruit was about 1:1. After a month or two I started showing signs of elevated blood sugar ( nausea feelings about an hour after consumption). I am not diabetic and have never had blood sugar problems but this much fruit everyday was enough to spike it. So use caution. Every other day with higher green ratio is best for me. I love green smoothies! Once I got over the way it looked, I became quite addicted to Naked Juice’s Green Machine smoothies. A friend of mine used to drink it all the time and I used to tease him about it, calling it “Pond Scum,” “Slime,” and “Swamp Water,” but fell in love once he forced me to try it. Green Machine has garlic in it, and sometimes it can be a tad strong, but I drink it anyhow because garlic is soooo good for you. The better sweetener for your smoothies is the stevia. Honey is OK (better than sugar, far far better than those nasty artificial sweeteners), but stevia is the best because it has a negligible effect on blood glucose so it’s THE one to use if you’re trying to watch carb intake. Thanks for the link to the GreenSmoothieGirl website. I’ll have to bust out my Magic Bullet blender now and get blending! I’ve often said that the two best gifts my husband has given me are my Vita Mix and my diamond…and that if I could only have one…it might be the Vita Mix! I have eleven kids. We use our Vita Mix multiple times a day and in 14 years, it has never failed me. 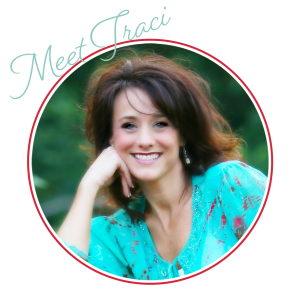 Traci, you might want to check out Dr. Joel Fuhrman’s book and website EAT TO LIVE. It will help you take your clean eating/healthy living efforts to the next level. May 2014 be a wonderful year for you and yours! I second the vote on Dr. Fuhrman’s EAT TO LIVE program. 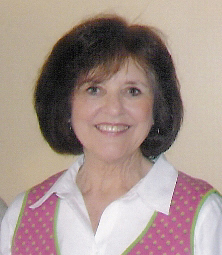 My food addictions are now a thing of the past and at 62, I feel better than I ever have in my entire life. Regarding the green color on the smoothies, a couple of tablespoons of unsweetened cocoa powder will make then a Chocolate dessert. I learned this from Dr. Fuhrman’s website. I have been having a green smoothie nearly every morning for three years. I use a bullet which was a gift but it’s about to go kerplunk! I use almond milk or cocoanut water, a big handful of organic baby spinach, frozen mixed fruit and a banana. The banana is a must for me to make it sweet. Sometimes I substitute baby kale for the spinach. Sometimes I add whatever fresh fruit might be getting too ripe. Sometimes I add ground chia seeds. My kids drink them too though not as often as I’d like but they are so chock full of nutrients I think even a little is good. My 13 year old loves to make blueberry smoothies with frozen blueberries and apple juice. They are quite refreshing. 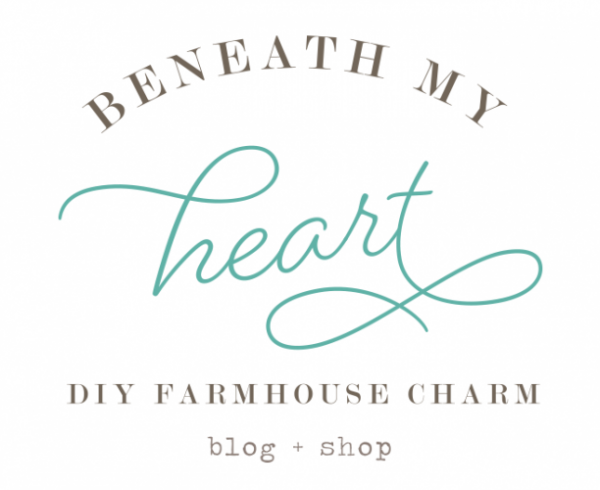 I enjoy your blog and your DIY projects. Enjoy your sis’s blog too. I’ve been thinking of trying some green smoothies. I will definitely have to check into this.